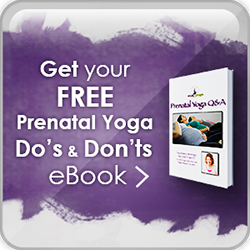 Ma Yoga Prenatal Yoga Newport Beach - and Mom + Baby yoga too! SORRY – THIS LOCATION IS CLOSED. 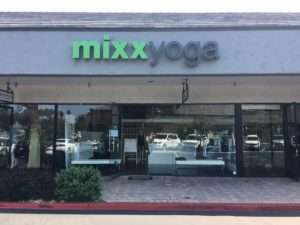 Welcome to the Ma Yoga Newport Beach – Mixx Yoga Location Page! Scroll down for our Class Schedule, contact info for your teacher, parking instructions, recommended caregivers in the area, and instructions for booking your first FREE class. You must book by 4pm. Looking for more classes nearby? Try Ma Yoga Costa Mesa – Spectra Yoga. Join us for a fun class that promotes long-term health and wellness while supporting your short-term pregnancy & postpartum needs! 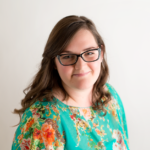 In addition to being a wonderful prenatal yoga and mom yoga teacher, Amanda is a professional doula, childbirth educator, and lactation counselor. This class is full of information and techniques that will help you transition into parenthood with confidence, while learning how to move the body to create space for your baby and healing in the postpartum. 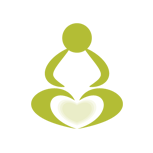 I came to yoga through my work as a doula and childbirth educator. Four years into my career, I was looking for ways to cope with the physical demands of attending births, staying up overnight with babies, and an irregular sleeping pattern. 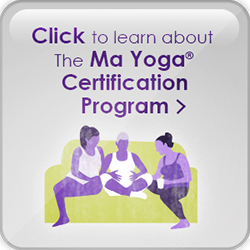 I quickly realized that if I could feel so much better practicing yoga and meditation, and after taking the Ma Yoga training, I knew I could help expecting and new moms with similar aches and pains to feel better too! Please feel free to connect with me at YourBirthTeam@gmail.com or (714) 657-6409 with any questions or concerns. There is plenty of parking in front of studio. Mixx Yoga is located directly behind the Urgent Care that can be seen from the street. There are multiple cafes, restaurants, & juice bars in the shopping center. Please leave your shoes at the front lobby! We want to keep the floor you practice on clean. Thank you! environment for anyone to explore and practice yoga. I attend AMANDA’s class at Ma Yoga Irvine at Mon Beau Bebe on Thursdays with my 5 month old daughter. She is one of the BEST prenatal/postpartum yoga teachers. Amanda is an experienced doula and has her own business helping women throughout their prenatal and postpartum journey (doulaorangecounty.com). Her expertise in women’s health is evident in every class she teaches. I learn so much about my postpartum body and my growing baby at every class. She is approachable and always encourages questions. Amanda is able to modify each class to everyone’s individual needs and she has an amazing ability to give the group as a whole an energetic yoga flow with a satisfying mediatation/savasanna at the end. I have been practicing yoga for over a decade in various locations around the country and her level of yoga/prenatal/postpartum knowledge is truly one of the BEST around. I highly recommend taking Amanda’s yoga class! Services offered include Childbirth Education, Birth Doula Support, In-Home Postpartum Help, Placenta Encapsulation, Belly Binding, Lactation Counseling, Car Seat Installation & Checks, and more. Megan and her team specialize in treating fertility, pregnancy, & postpartum concerns. If you’ve never been seen by an acupuncturist, this is the best place to start. With a beautiful office setting, individualized care options, and many medical insurance plans accepted, you’ll be well cared for at any stage of life. Whether you want beach-setting maternity photos or in-studio newborn portraits, Jennifer McNeil Photography has you covered. Jennifer’s commitment to showcasing each family’s unique sense of life and self is evident in her portfolio. With over a decade of experience handling newborns and making parents-to-be feel comfortable and special during what could be an awkward encounter with a camera, Jenn’s results are nothing short of astounding. Many countries around the globe include post-birth physical therapy in routine postpartum medical care packages. Don’t let the U.S.’s lack of emphasis on maternal care and support make you feel like issues such as prolonged incontinence are to be put up with. Physical therapy can reduce pain, treat symptoms, and even help you figure out how the rapid changes during pregnancy & birth are affecting your overall wellness.